But my little waffle maker booklet didn’t have a recipe for pumpkin waffles, so I turned to the internet for some guidance. And the pumpkin waffles blog showed me the way. 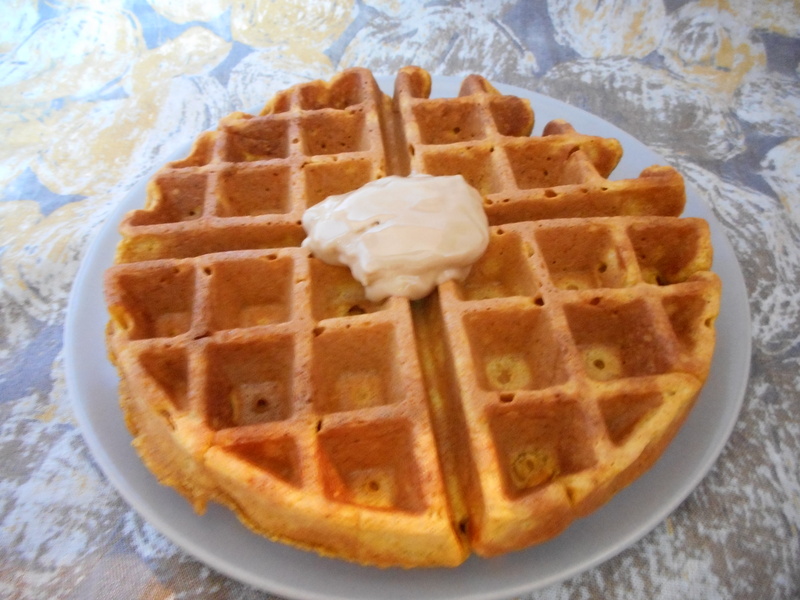 These were my first pumpkin waffles, so I didn’t have anything to compare them to, but I thought they were delicious. The recipe calls for the egg white beating thing, a full cup of pumpkin, and a relatively generous amount of spices. Most recipes are stingy with spices, which always makes me scoff and shake in two to three times the amount of spice in the recipe. Don’t tell me how much cinnamon I need in my life, recipes. 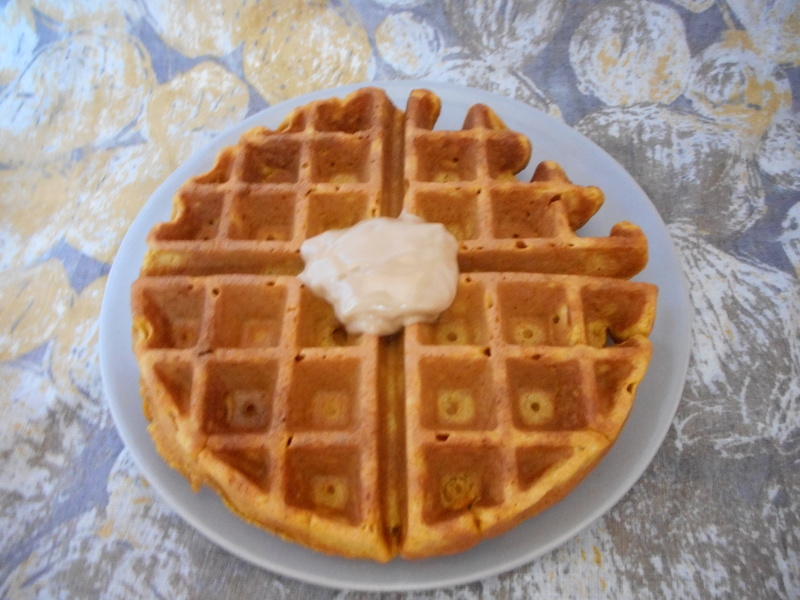 Granted, I still did the overly generous shaking thing when I made these pumpkin waffles, but I didn’t scoff. 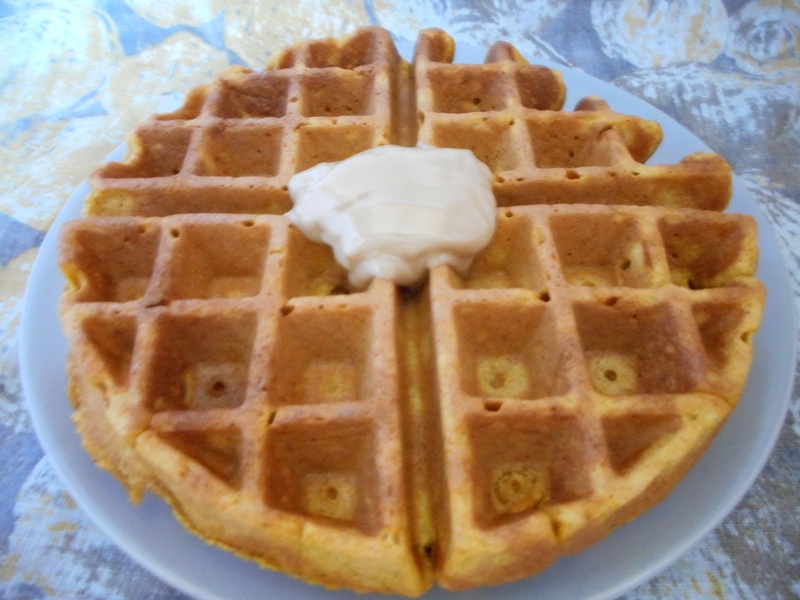 Thanks to the pumpkin, cinnamon, and ginger, these waffles are fall-like and flavorful. I topped my waffle with maple butter, which complemented the other flavors well. The recipe I used is here, though the recipe creator says they’ve since developed an improved metric version. But, much to Alton Brown’s disapproval, I don’t own a food scale. Whatever the case, I don’t need to understand waffles to know that these are delicious. It feels strange to post the recipe when it already has a site dedicated to it, so I’ll just link to it. Go forth and enjoy! Yummm a combination of two very deicious foods! Love the color on the waffle! Gotta try this one day.